From his adventurous youth in a rough-and-tumble American West to his far-flung trek across a still mysterious Asia; from his two-decade search for the essence of life to the triumph of Dianetics and Scientology—such is the story L. Ron Hubbard recounts in a lecture so legendary, it has been heard by millions. 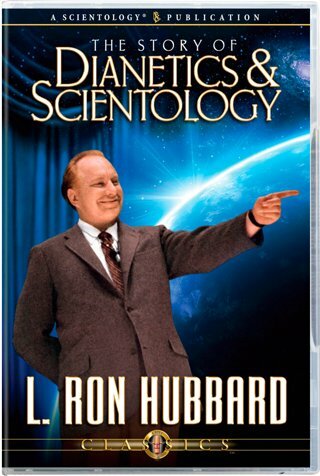 Through his extraordinary journey to the founding of Dianetics and Scientology, L. Ron Hubbard did just that. From his adventurous youth in a rough-and-tumble American West to his far-flung trek across a still mysterious Asia; from his two-decade search for the essence of life to the triumph of Dianetics and Scientology—such is the story Mr. Hubbard recounts in a lecture so legendary, it has been heard by millions. How could one man discover the source of all human aberration and provide an actual technology by which Man could rise to greater heights of honesty, decency and personal freedom? The answer is here, in L. Ron Hubbard’s personal account of his long journey to bring about a new state of being Man had dreamed of for over 2,500 years, a story that could only be told by the man who lived it.